Interesting study for an enterprise usecase of augmented reality -- productivity in the field service management industry. Think about telecom technicians installing cable, mobile doctors or nurses in healthcare, engineers deployed to sites in industry, or other service providers that travel to location. The study found that companies deploying AR solutions -- like (1) remote video and analysis of the site by experts, with work carried out by lower skilled labor, or (2) AR-based on site training modules -- saw better customer retention, satisfaction and operating metrics. Imagine coming to a complex piece of industrial equipment, and seeing three dimensional notes and explanations on how things should work. There is a potential parallel to financial services front offices. Much of the framework-setting in finance falls to a centralized function, whether that's a Chief Investment Officer creating portfolios or a Chief Data Scientist creating a loan underwriting model. Yet physical presence and emotional resonance still matter. Perhaps the human relationship is managed in person, but relevant financial stats and metrics about the relationship are physically tied or annotated to particular geo locations, or to the emotions of the customer. Clients are less and less likely to come to a branch or advisor office, spending time instead in their phones. But can the front office come to them, with a CIO in their AR glasses? Or, could machine vision be used to assess client net worth? If Truata can scan a windshield to figure out insurance damages, could a machine estimate car or house value in real-time net worth? While certainly not an exact match, we can see the future in some analogous applications. Below you'll see concepts of some of the apps being developed for headsets like the Magic Leap. For example, AT&T is bringing DirecTV to AR, with up to 4 different channels streaming at once, which is how communication with a colleague can happen. Or, it could be done through a render, like we see in Avatar Chat -- remember that VRChat has millions of users. As a last point, Adobe has entered the game with a professional creative suite in augmented reality, bringing what is currently a novelty toy one step closer to being a platform. AUGMENTED REALITY: Government and Military Use Will Drive Magic Leap, HoloLens Adoption. Last week, we spent a bunch of time talking about how consumer VR as a standalone platform is not turning out to be as good as iTunes, the iPhone, YouTube or the Web. One problem was the form factor, another problem was the lack of pirated content -- though games and adult content will slowly address this. This week, we want to point to IoT (Internet of Things) and Augmented Reality (AR). Do these themes have a reason for being and are they an opportunity for a major retooling of our interaction with technology? Here, we think the answer is a stronger Yes. 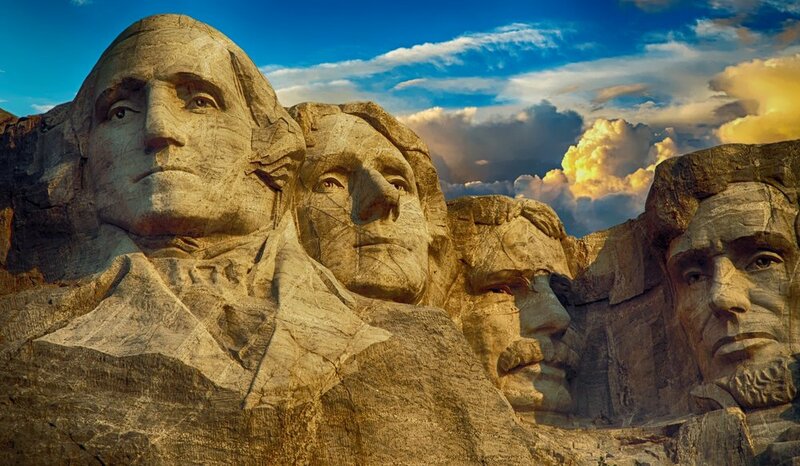 But this is due to a surprising reason -- government and military use. The Web was popularized through consumer use and now powers our digital selves. But it was brought to life and initial use as ARPANET in the 1960s through funding by the US Department of Defense. Imagine unlimited funding with life and death use cases by a nationally-embedded client base. This is also what the Chinese government is doing in relation to AI, blockchain and quantum computing, and get to the meat. First, Bloomberg reported that AR companies Magic Leap and Microsoft's HoloLens are bidding on a $500 million augmented reality Army project. The order is for 100,000 headsets which would run the Integrated Visual Augmentation System, overlaying intelligence on the physical world. These would be used for both training as well as in live combat. The manufacture of these types of devices would create an economic base on which consumer versions could be created, as well as condition a whole generation that using AR headsets is normal. Another data point supporting this idea is the investment by local government entities (e.g., UK councils) in digital twins of their neighborhoods for urban planning. In particular, Liverpool is running a £3.5 million IoT program that combines the rollout of a 5G network with innovative health and social care services for residents. Of the 11 proofs of concept in place, examples include video connection between vulnerable people at home and their pharmacy, AR maps that bridge physical distance and combat social isolation, and sensors that monitor whether older adults are dehydrated. 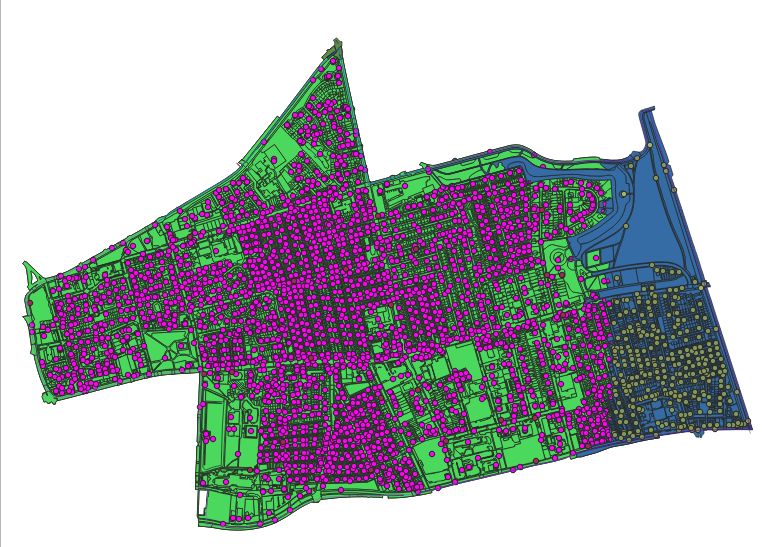 Similarly, earlier this year, Bournemouth was mapped into 3D, incorporating 30 different data sets, also as part of planning the 5G network. 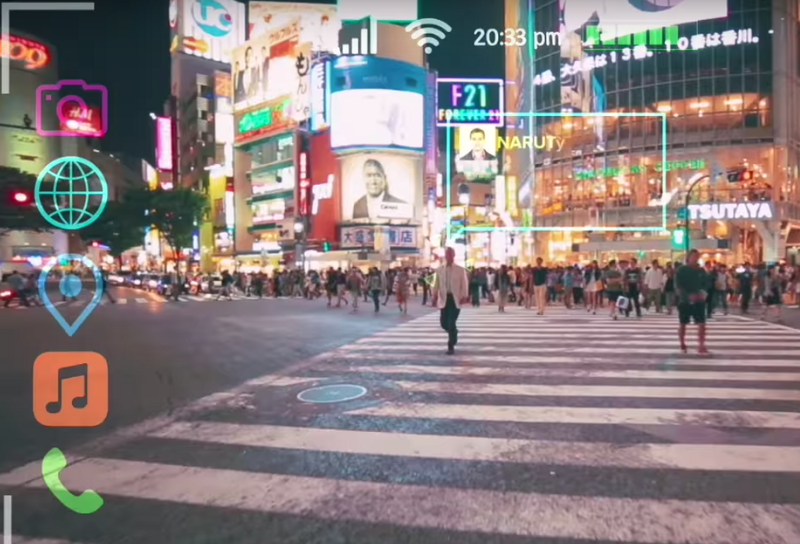 These live 3D maps, which could then be projected into the real world via AR devices, are a social good and should be part of centralized infrastructure. This in turn can further move the needle in consumer adoption and market maturity. Social media and tech companies have been adding native payments into their apps for years, and nothing in the West has yet come to resemble WeChat's payments success. Venmo has the "texting money" behavior on lock, despite competing with a native feature of iOS. Banks are still in the growth mode for Zelle, a bank-pipe for messaging money. Facebook payments, and Amazon Pay, and the credit card networks' Buy Now button are all competing for our payments share of wallet (!) on the web. So why do we think Instagram adding payments to its app is interesting? For the same reason that we think Snapchat adding a store can be compelling. Instagram is a way for many Millennials to consume brands and lifestyle. It is a platform of creators and influencers that broker fashion and retail. Platforms (like Amazon) are unlike individual products in that they can flex to include many different products and services once the use-case is proven. 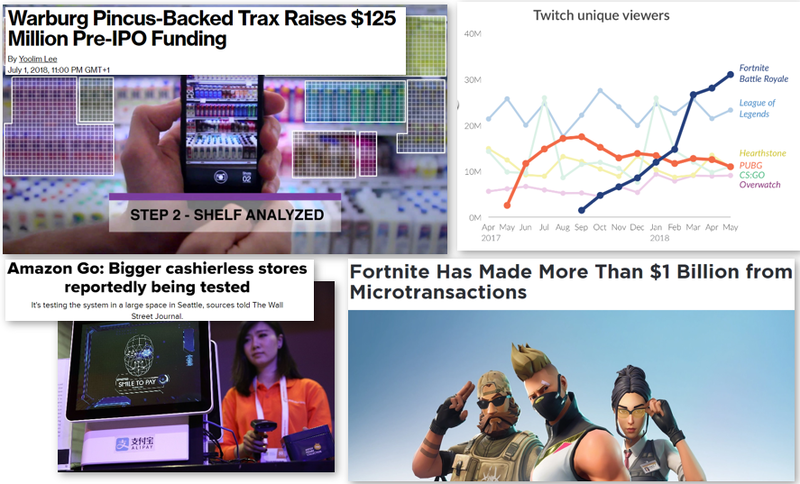 And influencer marketing, powered by propaganda bots, AI, and other growth hacking, is only becoming more important as a trend for generations that grew up on YouTube and eSports. This will become true in time for financial services companies. The other side of this coin is Augmented Reality and AI. Using machine vision, Facebook / Instagram can extract products from images posted on its network. Through integrated native payments, Instagram can become the platform where commerce happens, rather than linking out to third party sites. On top of this, Facebook's Oculus Go is an upcoming $200 virtual-reality head set meant to bring VR to the masses. Building Instagram into VR and AR, similar to how Snapchat is experimenting with both the medium and its associated hardware, would allow the company to open up a new commerce category. If this category catches on, Facebook / Instagram will have a meaningful moat that even Google and Amazon cannot match, because it will have (1) the social graph that can drive commerce, (2) the AI talent to build real-time image and product recognition, and (3) the customer's device to interact with this platform. Virtual reality is still missing its killer app, though VRChat is showing some real potential with 3 million downloads and 7,000 daily users. 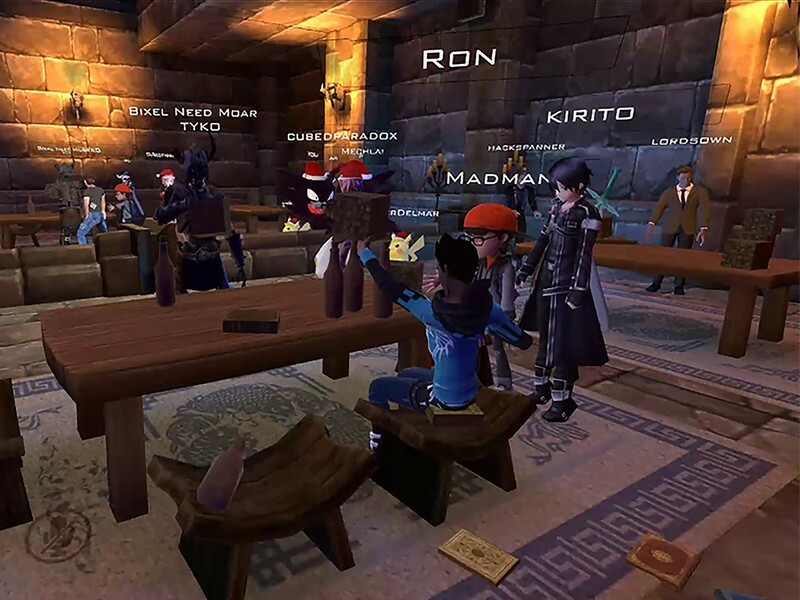 The app is an open environment where users can render both their world and their avatars. Think about a rudimentary version of Ready Player One that looks like Second Life. The app has had success for three reasons: (1) user generated content and thus endless variety, (2) the ability to use it even without VR on a regular desktop computer, and (3) video streaming of the app on popular video site Twitch, with nearly as many people watching the the virtual world as are actually in it. VR games are essentially behavioral training for augmented reality commerce. If users build and value objects and experiences in a virtual world, users will value them when overlaid on the physical world. Think about how video games from the 1980s and 90s became the blueprint for gamified mobile interfaces in the 2010s (see Mary Meeker's thesis on this here, pp 103-155). And we already see this happening. One sign is the planned entry of Magic Leap into retail. 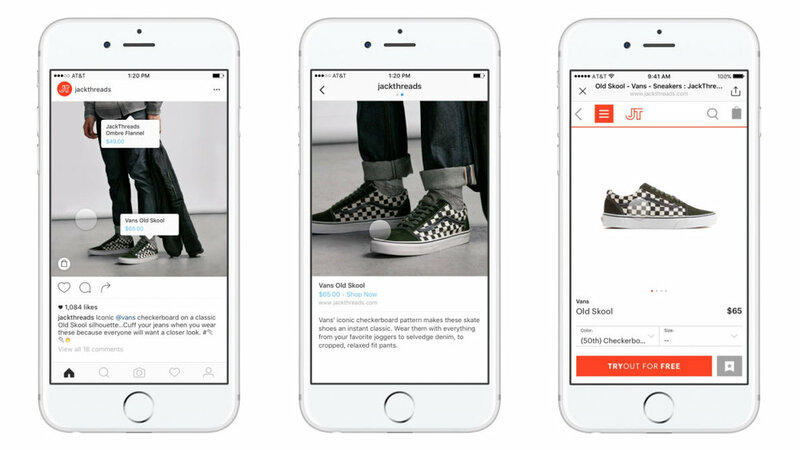 Another sign is fashion brand Chanel investing into tech company Farfetch (which had already raised $400 million from Asian fintech JD.com). Chanel is explicitly not interested in distributing through mass online retail, but are moving towards creating highly personalized augmented reality shopping experiences. Weaving together some crypto projects in the space can also help us see ahead. AR glasses manufacturer Lucyd has partnered with Gaze Coin, so that interactions with objects rendered in AR can be monetized. Similarly, there's a partnership with gaming network Gizer and algorithmic advertiser Advir.co. Combined with a rights-management overlay like Bubbled, you get a coherent integration of services that replicate digital advertising and commerce infrastructure in the physical world. Because in reality, we search for things not by typing or speaking, but by looking. Financial services companies are failing to engage with virtual and augmented reality (VR/AR) in a meaningful way. 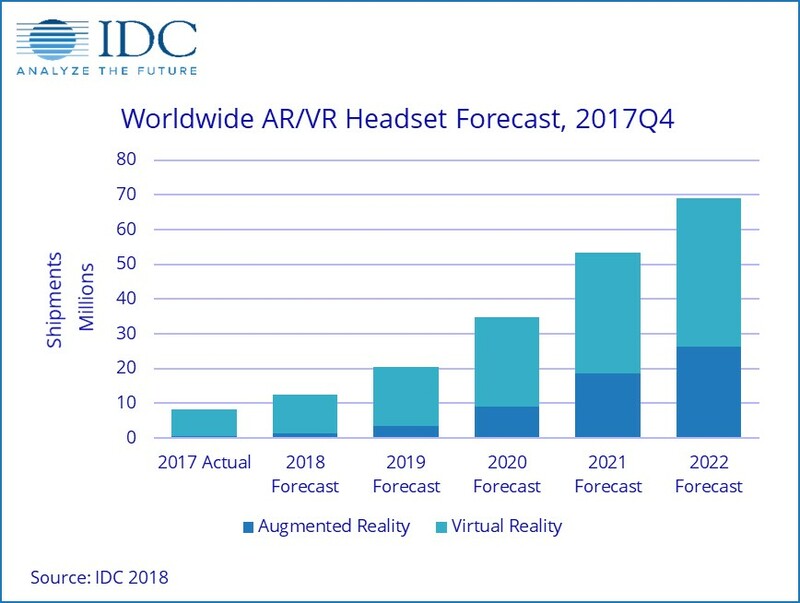 But that does not mean AR is not moving to the mainstream. The latest symptom of this is Google's commitment to building AR into the web browser. A user will be able to come across an object on the web, which can then be taken out and rendered within the living environment of the user. Three dimensional objects within the web browser so far have not taken off due to bandwidth and processing limitations, but that will change over the coming years. See of example, Punk Office, a company that is using 3D scanning of people's bodies to help clothing retailers map products onto their bodies. 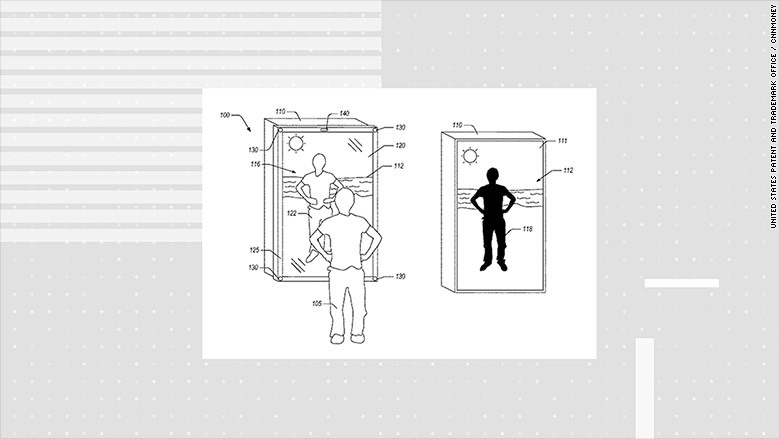 It is a small jump from this to Amazon's smart mirror, which can then connect the digital avatar to its retail catalog. All this physical / digital melding powered by machine vision of course. The way financial companies have engaged with the medium so far is to make small games or media experiences. For example, Ally Bank created a game to catch dollars flying around in your living room during the Super Bowl. Citi and Wells, among others, have created VR experiences (think concerts, immersive videos) that do nothing but advertise in a next-gen medium. The Financial Brand wrote a great post on the ways banks are using this tech last year, and the examples are roughly consistent: (1) various marketing experiences, (2) virtual offices and branches, (3) touring real estate investments, and (4) taking 2D trading and wealth interfaces and rendering them in 3D. This is fundamentally wrong. Sprinkling 3D on a complicated financial product, like trading, or sending people into a weird interaction with your virtual banking branch does not make the banking experience simpler or better for the customer. A simple mobile app or chatbot will do. What we need is not financial products rendered in gimmicky 3D, but to add finance features to digital objects and their attributes. This is why Augmented Reality retail makes sense. People will make some purchases natively in AR, and new payments experiences will support this activity. Similarly, this is why the VR crypto economy can make sense. From the financing of virtual land, to the monetization of attention, to the overlay of financial actions over the physical world in smart devices, incumbents need to think broader about this opportunity. We were awestruck by two projects. The first allows sketches of objects to become rendered images using generative neural networks. We've shared similar versions of this idea -- from Google's open source library of 3D rendered models to 3D gestures that map onto a space of virtual objects -- but this particular application shows how simple it is to go from concept to realistic (ish) environment. Yes, it's still ugly and messy, but for how long? The second project does an even more impressive trick. It takes the visual environments rendered in the 3D bubbles (or "360 video") of Google Maps and generates background sound for the environment. Note that this isn't the actual recorded sound, but a neural network hallucinated auditory experience that is correlated to the image mathematically. Listen to the video for full effect. The melding of physical and digital spaces requires steps like this to become scalable and repeatable. We believe that once this type of technology is polished around the edges, augmented reality experiences and commerce will become profound. It seems insufficient to talk about augmented reality, and much more powerful to show it, so enjoy the images below. We are seeing the first iterations of thinking about AR commerce taking shape, with Amazon joining Ikea in deploying a product Preview (not Review) app that takes a rendered version of an Amazon product and places it in the shopper's home. One image below shows a chair being placed into a carpeted room. Other examples in the linked video show vases, kitchenware, and Amazon Alexa being projected around the house. Commerce matters for Fintech because of payments and financing -- how will we pay for things in this future? Will we still use the iPhone or something like Magic Leap? The other two images show the power of artificial intelligence when it intersects with AR. In the first image, a neural network is used to "transfer" Van Gogh's artistic style on a rendered portrait. Think about how this could be applied to a customized bank experience, creating environments targeting the appropriate demographic with the right aesthetic. Popping gradients and futuristic designs for Millennials, marble and mahogany for Boomers? The last image uses a neural network interface to build objects in a virtual world. You can see the user creating a house by drawing an icon of a house and placing it on the ground. The AI part comes into play mapping the house drawing, which would be different each time a user creates it, and the rendered object that appears. You can think of this as a freeform gesture that beckons a product. If AR is built into all operating systems and mapped to commerce via Amazon, anything you want is just a flicker of the hand away. Already, Google is building out the rendered library. For something even more futuristic, check out this news of Farmers Insurance using virtual reality to train its property claims representatives for 500 scenarios of damages and customer interactions. The course is about 15 minutes long, rendered in video game engine Unity with randomly generated layouts, can be watched by other reps and managers on a big screen, and leads to a performance assessment on completion. This year, 50 reps will be trained using the simulation, growing to hundreds or thousands in the years to come. You can see the hyper-realistic rendering in the linked image. Other enterprise examples of using VR to simulate human experiences and create learning outcomes have popped up in medicine, such as surgical training, and education. What's curious, however, is that we are using machine simulations to enable human learning. At the same time, we are using real world imagery to facilitate machine learning, for essentially the same job. See for example this article, which describes how 70% of auto damage claims could be analyzed and estimated by machine vision by insurtech Tractable. Race between the AIs and the transhumanists in on! AR/VR is such a divisive topic. 50% of you will think what we are saying is obvious and inevitable. 50% of you will think that we are crazy and on the moon. 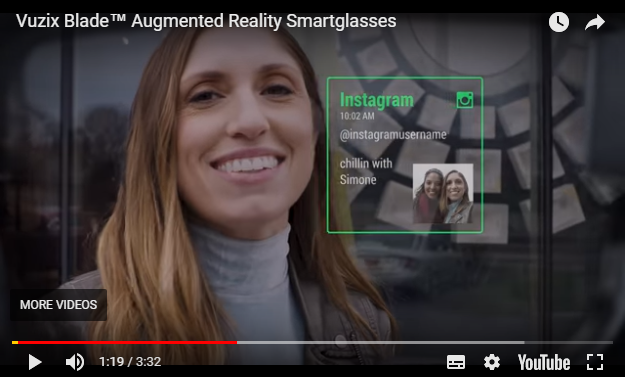 In a recent conversation with a portfolio manager of a multi-billion dollar fund, we heard "Maybe in 10 years my kids will shop for things in Augmented Reality". And yet, here we are, today, with Apple's ARkit powering live apps that you can download that deliver the future without much fanfare. This is a case of show, not tell. In the pictures below you can see (1) how Ikea is selling furniture in a live AR app on iOS today, (2) how a neural network can be trained to extract a 3D reconstruction of a face from a single photo image, and (3) a virtual reality space built for meetings and social networking by VR Chat, which just raised $4mm from HTC. Can you connect the dots to see that within just a few years the line between the physical world and the rendered one will be gone, and that commerce, payments, bank branches, and virtual assistants will all live in a world access to which will be tolled by Apple, Google, Amazon or Facebook (or Alibaba/Tencent)? If these data points are not enough, consider that Google is about to spend $1.1 billion on a slice of HTC, the phone manufacturer. Why? To own the capability to make hardware that competes in the Artificial Intelligence / Augmented Reality age. In order to deliver these futuristic capabilities, chips have to be architected in way that optimizes for neural networks (see NVIDIA and Intel) and massive graphic rendering, and cameras need to support volumetric recording and facial recognition. That is a hardware game. One in which financial companies will be price takers, not price setters. While there are reports of millions of virtual and augmented reality hardware units being shipped by Google, Vive, and Sony, most mainstream consumers have not yet adopted the technology. And certainly, few people are asking for financial services to intersect with virtual or augmented reality. But that is about to change, as technology firms push to make VR/AR ubiquitous, jump-starting another platform battle. Developments like Pokemon-Go and Snapchat Spectacles have given us a preview of the future, but now it's time to apply these ideas in finance. BNP Paribas is taking the VR bet, and has shared several concepts in a new video showing potential client experiences. Examples include (1) real estate brokerage apartment viewing, (2) bank transaction initiation in VR, and (3) partnerships with festivals and venues focused on the technology. The announcement comes on the heels of a payments demo by Worldpay and efforts by bothCiti and Wells. While nobody knows how this theme will develop, it is likely that commerce will continue to move from web to mobile, from mobile to augmented reality, and from augmented reality to virtual reality. Systems built by virtual world developers will need to interact with payments and banking APIs as the world evolves around us. We are experiencing a platform shift -- perhaps not as quick as the introduction of the mobile phone, but certainly equally as fundamental in the longer term to how people behave and communicate. Media, retail and financial services intersect in this new paradigm in ways that are fairly distinct from our current world. When companies build virtualenvironments and goods, and they are treated as physicalenvironments and goods, will a bank be the right way to store value to purchase them? Or would it be the the system that renders that virtual world? If you think this is ridiculous, remember that more people now watch blockbuster eSports finals than the NBA finals. Commerce in this augmented or virtual reality needs payments, and Worldpay developed a prototype for a virtual shopping experience. The user can choose either contactless payment, where a transaction below GBP 30.00 needs nothing other than selecting your virtual card, or to enter their pin to authenticate. It's skeuomorphic design -- remember when the iPhone rendered all of its notepads and buttons as if they were physical objects? Similarly, this experience literally mirrors having a physical credit card with a 3D-rendered credit card, to be swiped at a 3D point of sale terminal. Weird. Maybe this approach will help get people comfortable with the idea of using virtual cards in virtual worlds, or maybe it will give value to virtual goods more intuitively. But it's also very odd. When a payment can happen in an instant through biometric authentication in your device (eyes anyone? ), why would we create the inconvenience of handling a physical object? See for a counterexample how Ant Financial will allow people to pay in virtual reality by merely nodding their head. Which experience has less friction? Japan's tech giant Softbank has invested a staggering amount in UK company Improbable. What does this company do? It creates large-scale simulations in the cloud, enabling virtual worlds of unprecedented scale and complexity. Let's parse this a bit. Simulations are digital playgrounds of digital agents, each of which may have a variety of characteristics. They may be cities, or people, or other objects which have goals, motivations and sensors to understand their digital world. Simulations help us get to answers -- whether those answers are in entertainment (Second Life or World of Warcraft), economics (academic game theory), or stock market investing (evolutionary algorithms). Whereas in the past, we had to make strong simplifying assumptions about these things, leading to fast but blunt analytics and the approximations of classical economics, companies like Improbable allow deployment of simulations at scale. That means millions of independent digital agents running around on servers in the cloud, creating digital societies and manufacturing data, thanks to cheap and plentiful computing, and mature data architecture. Barclays Techstars graduate Simudyne is creating this for finance. So imagine a virtual reality world, perhaps deployed over Google Earth VR, that contains each human being with their financial graph making purchasing decisions. Or layer on top of that the entire industrial Internet of Things, with all machines on the blockchain acting according to their design. And of course, connect that to real world counterparts. Now we are getting to $500 million.